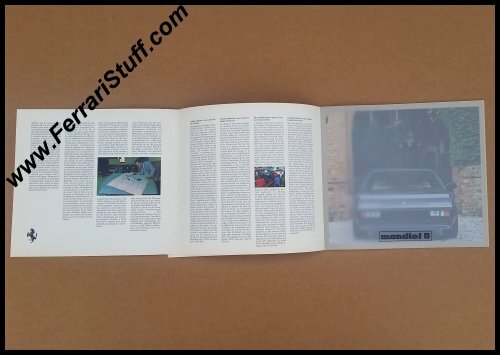 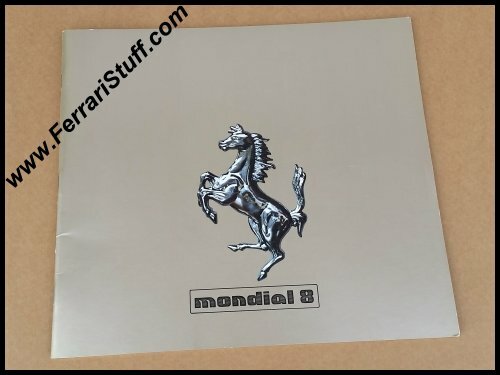 Ferrari factory original 1980 Ferrari Mondial 8 Brochure. 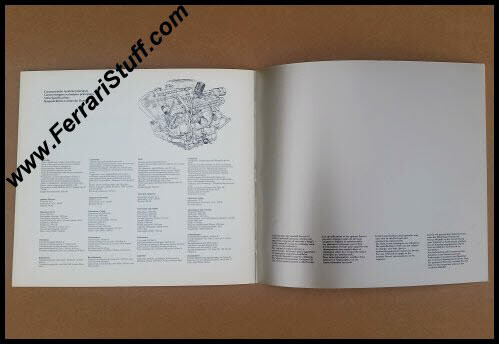 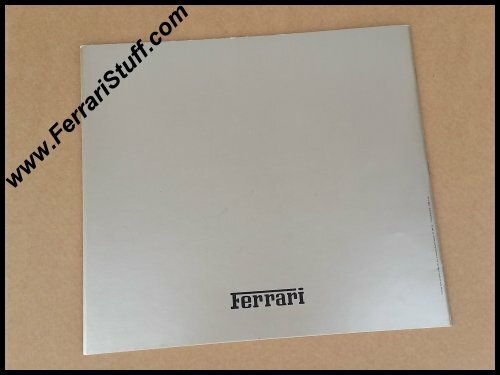 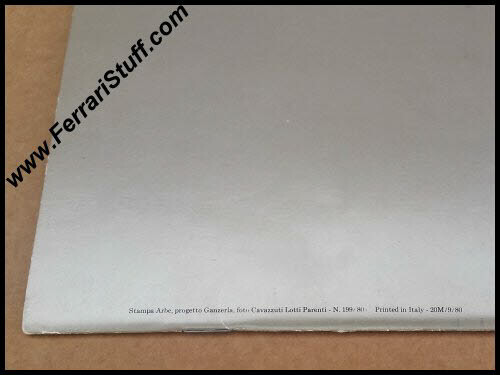 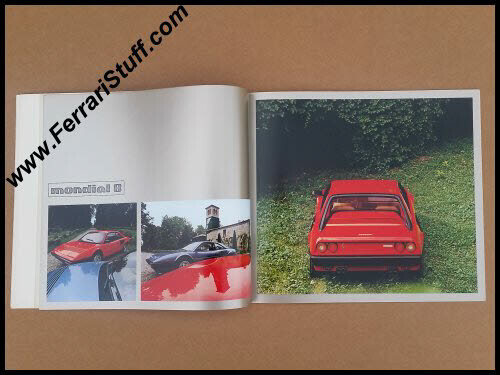 This Ferrari brochure contains 18 pages + 1 fold-out page + 2 "onion skin" pages. 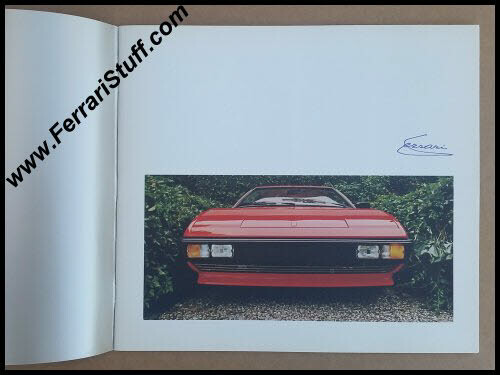 Ferrari Print Number 199/80 20M/9/80, issued in 1980, printed in September 1980 by Arbe, Italy. 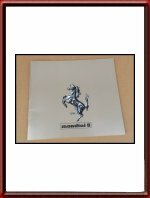 Good but not mint condition (the fragile "gold" inkt on the cover scratches easily and fades quickly), hence the modest price.